The International Alumni Advisory Board plays an active role in guiding WSET's engagement efforts with alumni, by ensuring that activities are "by alumni, for alumni." Board members represent the major regions where the Diploma is offered across the world. Contact details for board members are available to alumni by logging in to the Global Campus. The current advisory board was appointed in January 2018 and will serve a period of two years. Alex is a Managing Partner at Coley Porter Bell and has spent the last eight years working as a marketing and branding consultant for Pernod Ricard, developing award-winning packaging and new product development for brands such as Campo Viejo, Perrier-Jouët, Chivas Regal, Beefeater and Martell. Alex has spoken at a number of events and has had articles published on subjects including brand naming, marketing to Millennial consumers and creating brand desire. Thomas is Senior PR and Communications Manager at Daimler AG and is co-founder of WeinAgentin. Thomas started his career as a freelance journalist for German newspapers and as an editor at N-tv news television, Thomas moved into the car and transportation industry more than a decade ago. For seven years he has combined a professional PR Manager career with broad activity in the wine business as a certified wine taster, consultant, trainer and lecturer. Thomas is currently on the Master of Wine study programme. Maggie is Head Distiller and Vice President at Privateer Rum and founded the Denver Brewer’s League. She currently serves on the Board of Directors of the American Craft Spirit Association and co-chairs their Education Committee. She first became interested in learning about distilling in 2004 on a trip to Scotland and has since received her Diploma in Craft Distilling Technologies from the Siebel Institute. Maggie is currently on the Master of Wine study programme. Wei is the founder of wine marketing agency Aroma Republic, a wine consultant for the online retailer Yesmywine.com and a WSET Certified Educator. Having studied at the Bordeaux Business School for his MSc in International Business, Wei went on to become a market researcher for the Chamber of Commerce in Bordeaux. He is an active educator, writes for Decanter China and is a member of the California Wine Advisory Board in China. Sarah is National On-Premise Business Manager for House of Fine Wine, working with premium brands such as Champagne Bollinger & Ayala, Delamain, Henschke, Vidal and Villa Maria. 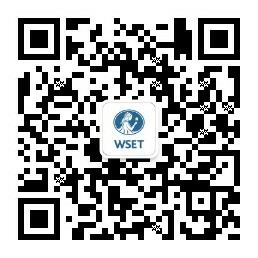 She holds the WSET Diploma and is a WSET Certified Educator. As a Certified Sommelier through the Court of Master Sommeliers she is supportive of further education through both this and WSET. She is actively involved in the Australian wine judging scene and is currently on the Master of Wine study programme.